Landsvirkjun is a leader in the sustainable use of renewable energy sources. We strive to seek out innovative and unconventional pathways in technological development, in cooperation with universities, research institutes and independent experts. Landsvirkjun is constantly looking to the future and exploring unique opportunities for ongoing success. A key factor in the Company’s achievements is the dedicated team of employees who uphold prudence, progressiveness and reliability as core values in their work. Landsvirkjun has a clear policy on social responsibility and is committed to maximising the positive impact of business on society and the environment, and diminishing the negative. To the north of Búrfell, approx. 70km from the coastline, is a lava field by the name of Hafið. 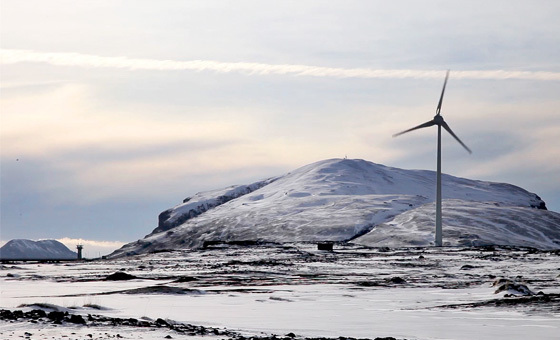 Landsvirkjun has erected two 900 kW wind turbines in the area, for research purposes. The wind turbines have been successfully operated since the end of January, 2013 and are the largest of their kind in Iceland. This is the first time that the feasibility of wind energy has been investigated and there are clear indications that Iceland is an advantageous location for electricity generation, utilising wind power. Wind velocity is relatively high, at a relatively low height in Iceland. This significantly reduces the cost of energy and operating costs as hub heights can be kept much lower than in other countries. A natural wind tunnel forms in this area and wind speeds reach an average of 10-12 m/s, at a height of 55 metres. Elsewhere, wind turbines are usually raised by the sea or offshore where wind speeds are more consistent than in inland areas. The yearly average capacity factor for Hafið is approx. 40% which is unusually high. In comparison, the average capacity factor worldwide is approx. 28%. Iceland is the one hundredth country in the world to utilise wind energy for energy generation purposes. The opportunities are extensive and wind energy could potentially become the third pillar in Landsvirkjun’s electrical system. The installed capacity of wind energy worldwide now represents over 3% of all energy consumption, or 318 GW. Rapid technical advances within the field are making wind energy an increasingly feasible option. The World Wind Energy Association expects the installed capacity of wind energy worldwide to double by the end of 2016; it could reach one million MWs. The installed capacity of wind energy worldwide now represents over 3% of all energy consumption, or 318 GW. There are clear indications that Iceland is an advantageous location for electricity generation, utilising wind power. How can we utilise the wind? Wind energy and hydropower are generated using the same technology. A large magnetised rotor rotates within a copper wire covering, transforming kinetic energy into electrical energy. The turbine is located in the powerhouse behind the blades. The wind turbines are manufactured by the German company Enercon and are gearless, direct drive mechanism wind turbines. The main advantages of this type of turbine include low maintenance costs, low energy losses, a longer life span and minimal noise emissions. The wind turbines each have a 900 kW capacity and together their generating capacity could be up to 6 GWhrs per year. The energy generated would be enough to serve 1400 households. Research on the wind turbines at Hafið will provide valuable information on the unique operational environment in Iceland, focusing on the effect of icing, snow drift, ash, sand drift and noise, as well as the impact upon wildlife and the Icelandic community. 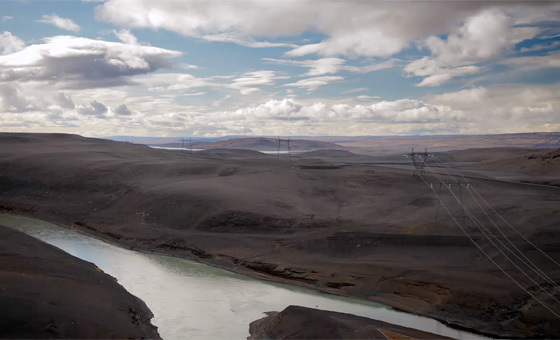 The Hafið area is particularly suitable for the project as it is not in close proximity to residential areas but close to the necessary infrastructure; lines and roads. Other wind turbines could be raised in the area if the project proves successful. Wind energy is not reliable as this type of energy generation is reliant on the weather. Wind energy could work well in conjunction with hydropower; when the blades are at full capacity then water could be spared in the reservoirs and the reservoirs could be utilised when wind velocity is low. If the project proves to be a success then wind energy could become an important additional resource, alongside hydropower and geothermal power. Corporate social responsibility (CSR) is about maximising the positive impact of business on society and the environment, and diminishing the negative. Landsvirkjun has established a clear strategy on social responsibility that mirrors this. The Policy was a key project in 2013 and dozens of employees have been involved in its development throughout the last few years. The Energy Research Fund’s goal is to strengthen research in the fields of environmental and energy affairs. Since its establishment, in 2008, the fund has awarded grants in the amount of approx. 319 million ISK. The fund has awarded 30 grants at the doctoral level, over 60 grants at the master’s level and approx. 130 grants for other research projects. In 2013, Landsvirkjun awarded 60 million ISK to 32 projects. One of the objectives of the fund is to make Landsvirkjun's monetary contributions to research more efficient and transparent, and to ensure that the studies supported by the fund comply with Landsvirkjun's environmental policies. Landsvirkjun also supports the universities in Iceland. 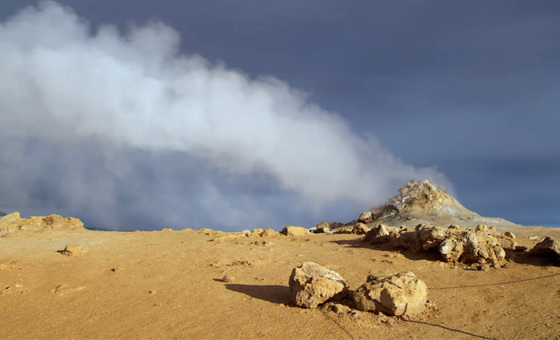 Recently, the Company signed an agreement with Reykjavík University and the University of Iceland to support and encourage the development of expertise within the field of renewable energy. The collaboration will support the development of increased expertise in the field of renewable energy sources and their utilisation. Innovation driven projects in Iceland have resulted in the establishment of a number of start-up companies. 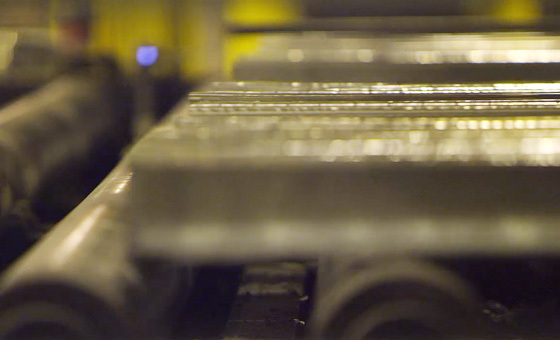 The companies cover a wide range of fields and have thrived in the last few years. Iceland is rich with natural resources and there is tremendous potential to create value by supporting this type of innovation. Startup Energy Reykjavík (SER) is a mentorship-driven investment programme for seed stage, energy related business ideas. The programme was established in 2013 and the founders of the program are Landsvirkjun, Arion Bank, GEORG and Innovation Centre Iceland. The program offers its participants the opportunity to be mentored by a group of 50 experts from the science and business world and the opportunity to present their ideas to potential investors. The goal of the programme is the creation of shared value for the energy industry and society. Landsvirkjun’s objective is to support a qualified discussion on energy matters and to create value for society and the labour market, via knowledge dissemination and the encouragement of innovation.